Samsung is coming up with the latest Android 7.0 Nougat update in Europe to tackle the Blueborne security bug found in the previous weeks. If you don’t want to wait until Samsung unravels the new update in your area, you can choose to flash it manually using ODIN app. The Blueborneissuewas found weeks ago and it makes a device susceptible to malware threats. This can be done by hacking tools that are camouflaged as another Bluetooth device and then using such connection to take over your phone’s primary operating system. Blueborne “virus” can linkto your phone without the need of pairing the phone with another harmful app, and it can also by-pass “discoverable mode” from your Bluetooth settings. Keep in mind the following things while flashing your device. 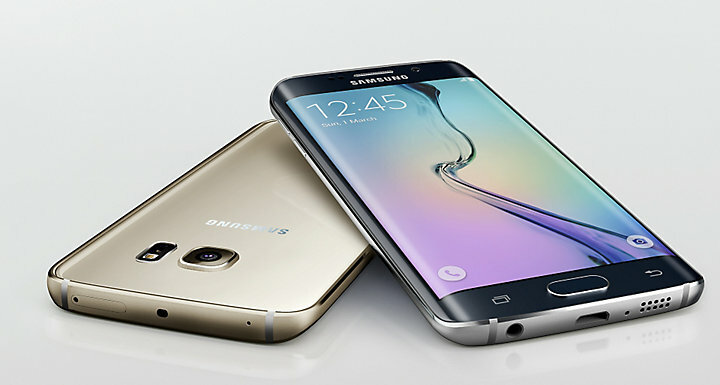 This process is meant only for the Samsung Galaxy S6 G925F Edge models. Don’t try to update other Samsung Galaxy models with the files found in this post. To update, use the ODIN app, and this tool requires you to install the Samsung USB Drivers on your PC. Check battery charge levels as there should be at least 50% charge left before the device turns off. This guide is meant to be used by advanced users; we cannot be blamed in case you brick the phone, nor in case you lose any important data files in the process. The best option is to upgrade your device’s OS as soon as possible to prevent any chance of getting your data stolen. Download the Android 7.0 firmware file. After the download is done you can retrieve the archived contents from the file. You should get the G925FXXU5EQH7 tar.md5 firmware update file. Don’t excerpt the tar.md5 archive. Download Odin 3.12.3 zip from here. Extract and save the files on your PC. Boot your Galaxy S6 edge G925F in Download Mode. Launch Odin tool on your computer. Connect the Galaxy S6 edge to PC via USB cable. Wait for ODIN to detect the device and then continue to the next step. If the phone is not found you need to reinstall the Samsung usb drivers. Go to ODIN main screen and click the AP button. Now, locate and load the G925FXXU5EQH7 tar.md5 firmware update in Odin. Tap the START button when you’re ready to begin the Android 7.0 new update process. Confirm process if asked, and don’t skip any steps. When installation is complete you will see the PASS text shown by ODIN, and your phone will restart in normal mode. Disconnect the device from computer, and then wait for the first boot process to complete. If you’ve installed the update over custom ROM, then follow the belowsteps thatwill help your phone to boot in normal mode. Turn off the Galaxy S6 edge. Choose ‘wipe data/ factory reset’. Reboot your smartphone in normal mode and you’re done.